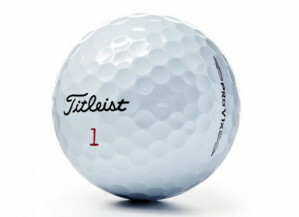 The 2014 Titleist Pro V1x is the latest in the long line of the Pro V1x range. The 2014 model features a unique tetrahedral dimple pattern along with a softer core then previous years. The balls also feature an enhanced urethane cover which gives much greater durablilty and means the balls retain that out of the box look" for longer during a round. The 2014 Pro V1x is one of the most popular ball on the PGA Tour as used by golfers such as Bubba Watson, Jordan Speith, Henrick Stenson, Ricky Fowler, Ian Poulter, Lee Westwood and many more. Players using the latest Pro V1 range have won 65 professional tournaments this year, isn't time you played the best ball?